Park Hong-min graduated from the Department of Broadcasting and Communication at Hallym University, earned a degree in directing at Dong-ah Institute of Media and Arts, and received an MFA in directing from Dongguk University. He debuted with 3D feature film, A Fish (2011), which was invited to various film festivals, including Busan International Film Festival 2011, where the film won the Citizen Critics’ Award; International Film Festival Rotterdam 2012, where it was nominated for a Tiger Award; and also receiving special mention at Vancouver International Film Festival 2012. His second feature film, Alone (2015), won the Citizen Critics’ Award and the Actor of the Year Award at Busan International Film Festival 2015, won a Jury Award at the Seoul Independent Film Festival 2015, and has also been invited to major film festivals including International Film Festival Rotterdam 2016 and Vancouver International Film Festival 2016. Cha Hye-jin produced the movie Alone (Park Hong-min, 2015) with NONGBU FILM, and co-wrote the screenplay with the director. Cha’s screenplay for A Scapegoat also won an award at the SBS Drama Screenplay Contest 2017. 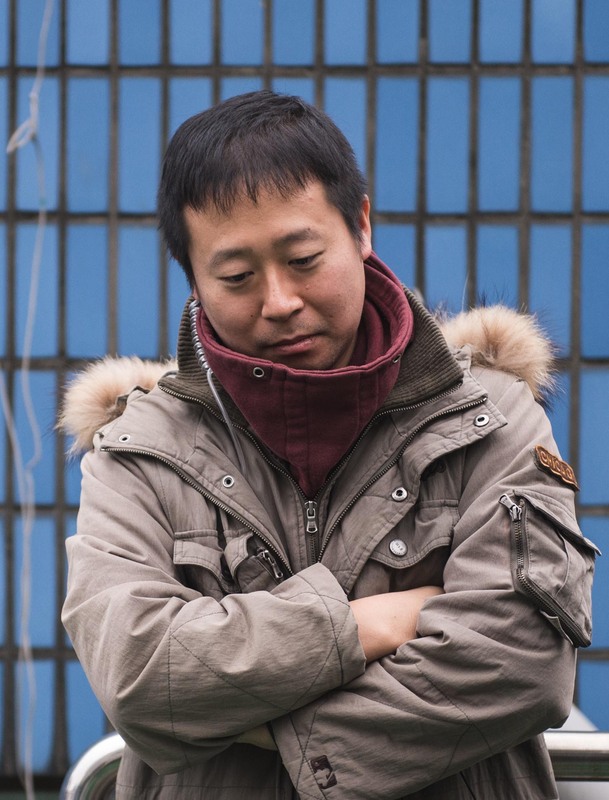 NONGBU FILM produced Park Hong-min’s previous feature film, Alone (2015), which has been invited to various international film festivals through M-Line, an international sales and distribution company. The Korean theatrical release was successfully completed through local distributors, Indiestory. It is the spring, which brings the yellow dust. Sung-jun receives a phone call from his mother, who tells him that she cannot contact his younger brother, Sung-hun. Sung-jun goes to Sung-hun’s place to find him. There, he finds his brother’s daily schedule and contacts Su-min, who is noticeably marked on the diary. Sung-jun visits Su-min′s house, expecting Sung-hun to be staying there, but there is no sign of Sung-hun, so he leaves. On the way back, Sung-jun recalls seeing packages of Irish Water in Sung-hun’s place, and discovers that Irish Water is a product sold by an illegal network marketing company. The next day, Sung-jun goes looking for his brother at the illegal network marketing training center. However, there is still no sign of Sung-hun. As Sung-jun is leaving, he is attacked by Su-min and his gang. They take Sung-jun′s cell phone and lock him up. Su-min explains to Sung-jun that Sung-hun has stolen money from his colleagues. He demands that Sung-jun repay Sung-hun′s debt of $30,000. If Sung-jun does not pay back the money, Su-min threatens to hurt his mother. In the end, Sung-jun starts working for the illegal network marketers.